Season 33 | No Chic. Just Geek. So, how did you do? Personally I managed to get through the whole of the week without picking up any spoilers. Well, any new spoilers, but we should probably leave that until later on. 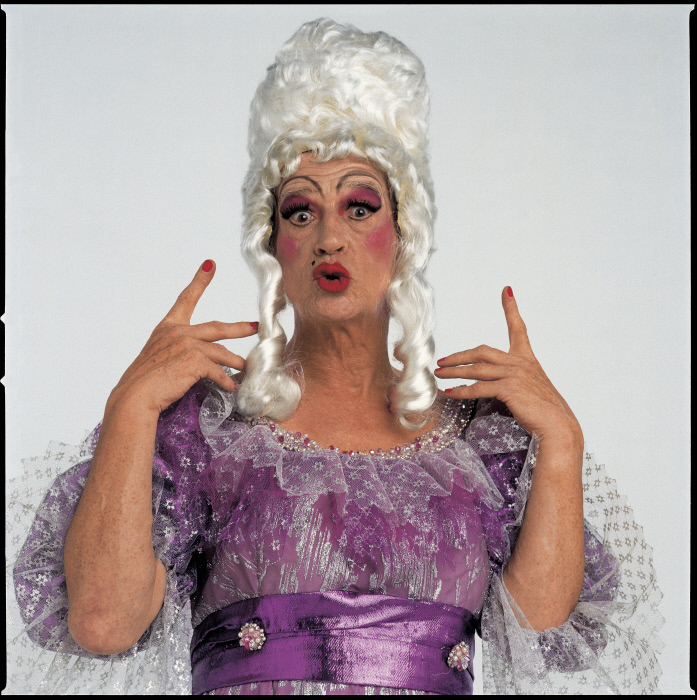 If you haven’t seen The Name of the Doctor yet, there will be explicit Spoilers later on, so pay attention and stop reading when we get to the pantomime dame. New evidence that sonic over-use can mess up Amazon US’s delivery schedule. I fear that three years’ exposure to Moffat scripts and particularly his brand of season finale (and, by the way, doesn’t it feel weird that this was still technically only the end of Matt Smith’s third season as the Doctor? With all these mid-series breaks, it feels like he’s done four or five) has innoculated me to the majority of his tricks and games, because while The Name of the Doctor was dazzling and breathtaking while I was first watching it, I’m already getting the distinct impression that there was less going on here than met the eye. That said, judged just on first impressions, Moffat writes a brilliant season finale – much of the time this felt like the 50th Anniversary Special had come six months early. I couldn’t decide which moment in that opening montage stunned me most, seeing a colourised William Hartnell, revisiting that notorious Dragonfire moment, or realising they’d actually found someone else prepared to wear the sixth Doctor’s costume. As usual there were big ideas and potentially format-shifting concepts being casually chucked about, winning reappearances by favourite characters, and some really good jokes. But, then again, wasn’t it just the Doctor finding himself in some obscure metaphysical bind, with the universe as we know it falling to bits, and sanity being restored only through the Doctor doing something timey-wimey and his friends going to great lengths to preserve him? I’ve seen that in both the previous Moffat series conclusions. It’s all a bit abstract, and – potentially worse – thoroughly Doctor-centric. Perhaps Moffat’s most brilliant achievement is to find a way to sneak what are essentially fanfic stories onto BBC1 on a Saturday night. That said, you have to admire his legerdemain – for this story to work, it really needs a villain of substance. The fact that the Doctor’s adversary is the famed Great Intelligence gives its presence a heft that goes some way to make up for the fact that we’ve no idea what it fundamentally is, who its new friends are, or how they function together. The fact that the Intelligence was reintroduced half a dozen episodes ago works the trick of concealing how arbitrary its powers on this outing are. I was all set to criticise this episode for being ridiculously over-hyped in terms of ‘the Doctor’s greatest secret is finally revealed’ and ‘prepare to question everything you thought you knew about the Time Lord’, but of course I was looking the wrong way: the final scene of the episode came as a total surprise, and… oh, look, we’ve reached that cut-off point I was talking about. Spoilers follow the dame. Part of me is quite pleased John Hurt made his debut as… well, is he playing the Doctor or not? Definite mixed messages, but the credits say he is. So let us refer to him as the Lost Doctor. Anyway, I heard that Hurt was coming as the Lost Doctor about ten days ago, the news was all over certain bits of the internet and while I’m slightly annoyed to have had the climax semi-spoiled for me, at least I can now write about the appearance of the Lost Doctor with a clear conscience. The reaction to the Lost Doctor’s introduction that I read seemed to be almost wholly negative, most of it – unfortunately – on the grounds that ‘another regeneration has been pointlessly wasted’ – I gave my opinion on this sort of thinking a few years ago and don’t really want to go through it again. Criticising Moffat for behaving as if he’s the boss of Doctor Who also strikes me to be missing a small but key fact: namely, that he is the boss of Doctor Who. My instinctive assumption was that Moffat had written a script for the three 21st century Doctors, and that Hurt was involved only because Christopher Eccleston had declined to take part: he was, basically, filling in for a Doctor unable or unwilling to participate in an anniversary special. Well, if nothing else, a brilliant actor like John Hurt is a better replacement than unused footage from an abandoned story or film inserts making heavy use of idiot boards. The implication seems to be that the Lost Doctor has somehow lost the right to use his own name, due to some terrible crime or other he committed. 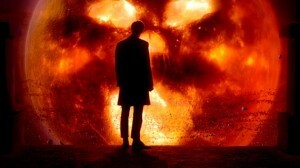 (Could this be the use of the Moment to destroy Gallifrey and the Dalek fleet?) Who decided this? The other Doctors? If nothing else the suggestion that ‘the Doctor’ is not so much a name or title as a status that can be earned or lost is a curious one – but not totally without precedent. Yes, I’m thinking of The Brain of Morbius and its bevy of previously-unhinted-at pre-Hartnell incarnations. Did they also lose the right to the title ‘the Doctor’, or did they simply predate the adoption of it? Personally I suspect the latter – thus, when the Time Lords refer to ‘the first Doctor’ in The Three Doctors they really mean ‘the first incarnation of this particular Time Lord to call himself the Doctor’. One consequence of this would be that the eleventh Doctor is actually the nineteenth incarnation overall. The Thirteen Life Rule dogmatists have probably turned purple and fallen over already, and are doubtless pointing out that Mawdryn Undead not only reasserts the regeneration limit but specifies that the Doctor has only eight left, effectively ruling out any pre-Hartnell incarnations. I concede that The Brain of Morbius and Mawdryn Undead appear to explicitly contradict one another – but then again Mawdryn Undead appears to explicitly contradict most stories from the UNIT era, and not many people seem willing to take its side in that particular tussle. Anyway, the precise details of the regenerative process are still somewhat shrouded in mystery, and there have been hints that the limit of thirteen is not wholly inflexible. Taking a title instead of a name seems to have been an unusual occurrence amongst Time Lords, and usually the mark of a renegade. Could something so significant have an effect on the regenerative cycle, to the point of resetting it? I am probably either indulging in a wild flight of continuity cop fantasy, or over-thinking, or both. I am virtually certain that none of the above will be addressed in the 50th Anniversary Special. To be perfectly honest, just the prospect of seeing John Hurt as an (apparently ‘bemused’) incarnation of the Doctor, not to mention the return of the Zygons – and of course David Tennant – has me quite excited anyway. All right, so for me, this series has flopped more often than buzzed – but the potential for greatness is integral to every second of this show. I just hope that potential gets realised as much as it should come November the 23rd. So, in the last week I’ve come to the conclusion that if I’m only really going to be impressed by one or two episodes of Doctor Who every year, that’s better than nothing – even if it is about the same average as in the mid-80s, and a definite decline from the situation five years ago. And, when one of those really not bad episodes comes along, the thing to do is to make the most of it. I had unusually high expectations for Nightmare in Silver, simply because it was written by Neil Gaiman – I’m not what you’d call a massive Gaiman fan, but I like nearly everything of his that I’ve encountered and he did write The Doctor’s Wife, my favourite Matt Smith episode so far. Set against this, of course, there was always the possibility of Difficult Second Episode syndrome and the fact that – judging from the behind-the-scenes promo material – Gaiman was invited back partly with a view to making the Cybermen less rubbish, a task which has defeated virtually every writer in the history of the series (I’m no great fan of Eric Saward’s writing but he could justifiably have ‘Wrote a story where the Cybermen were genuinely impressive’ put on his gravestone). It’s only in silhouette that you really appreciate the value of the handles. So, how did it all turn out? Well, there was the sense (usual, these days) of a story being squashed down to fit a 45 minute time slot, the same typical sense of jolly superficiality, even when the story was going into some quite dark places. On the whole though, I enjoyed it at least as much as any of the other episodes this season – wasn’t mad about Tamsin Outhwaite’s prominently-lipsticked near-cameo, and the quality of the child acting wasn’t the best I’ve ever seen, but I liked Warwick Davis very much. I got the sense that there was the seed of quite a dark story about redemption and guilt buried here somewhere, but it seemed to get lost in the running around and shouting that a 45-minute story apparently requires these days. Not quite so sure about Matt Smith’s performance as (spoiler incoming) the Cyberplanner – I know it’s Matt Smith, and the makers of the series seem to think that a sort of manic camp is the best way his talents can be exploited, but would a Cyberplanner really call itself Mr Clever and say things like ‘toodle-oo’? If they’d put in a line about the Cyber-implants mimicking the Doctor’s own personality, I’d have bought into that much more happily. So, there’s my opinion – an above-standard episode by current standards, which translates objectively to mean ‘decent enough’. Critical faculties duly exercised, let’s dig into the geeky stuff, starting with – when’s this episode meant to be set? Well, we’re repeatedly told it’s a thousand years since the last Cyber War, and what looks very much like a Human-led Empire is the dominant space power. I’m favourably disposed towards David Banks’ theory that there was a Cyber War in which humans weren’t involved, happening round about the 22nd century (it’s the one referred to on-screen in Revenge of the Cybermen, which must happen prior to 2526 as it’s discussed as a historical event in Earthshock – for some reason, this is one of those fairly straightforward pieces of continuity which some people bend over backwards to explain away), but it’s strongly implied there’s going to be another one round about 2527, following the events of Earthshock itself – Banks suggests that Attack of the Cybermen is set during the final stages of this war, which he dates as concluding in 2530. This would therefore give the earliest possible date for Nightmare in Silver as around 3500AD – however, there is that Human Empire to take into account. The Earth Empire seen in Frontier in Space, and so on, is shown to have been in decline by the 30th century, and nearly every chronology agrees that the second half of the fourth millennium is the era of the Galactic Federation. On the face of it, then, it seems fairly unlikely that the Cyber War mentioned in Nightmare in Silver is one previously referred to in the TV series. There’s also the issue of the Cybermen we see in the story, too: this is the same model shown to be operating in the early sixth millennium in A Good Man Goes To War (there’s an article to be written on how much store we should set by the varying appearances of recurring Doctor Who monsters, but let’s take this at face value for now) – which, incidentally, suggests the Cybermen of that period are at a peak of military power beyond anything seen elsewhere in the series. These same Cybermen appear decrepit and obsolete in Nightmare in Silver, suggesting the story takes place in an even more distant future. This suggests the empire we see in this story could be the Third Great and Bountiful Human Empire (the First Empire appears to have existed from the 25th to the 30th centuries, the Second round about the 42nd), for which we have never received an on-screen date – there’s plenty of room, given the Fourth Empire doesn’t appear for nearly 200,000 years. The implication that this is an intergalactic empire, and the existence not just of planet-busting but galaxy-destroying weapons, suggests a date in the very distant future is not unreasonable. It certainly leaves a lot of unanswered questions and room for manoeuver in further stories featuring these Cyberiad-Cybermen, which is very nearly mission accomplished all by itself in terms of revamping the race: previously, the Cybermen were usually generic robots-in-all-but-name who were not very good at infiltrating remote outposts – the Cybermen’s Big Thing, the concept of conversion, is more often used as colour for a story than its absolute core. Are these Cybermen interesting enough to justify being brought back for any reason other than the fact that they’re an iconic big name bad guy? I would certainly give them the benefit of the doubt. Unfortunately, Neil Gaiman seems to have smacked into the usual problem modern writers encounter when trying to make the Cybermen less rubbish – you’ve got an impersonal, cybernetic culture which in many ways has more of the characteristics of a sentient plague, where the individual members are drones and the worst thing they can do to you is to destroy your sense of self. You can give the Cybermen new tricks and tinker with the styling all you like (and I think the new-model Cybermen are an improvement) but on paper the Cyberiad is arguably more like the Borg Collective than ever before. I’m not the first person to say that in many ways Star Trek actually ‘did’ the Cybermen better than Doctor Who, but it’s still true, and this is a headache I don’t really see going away. 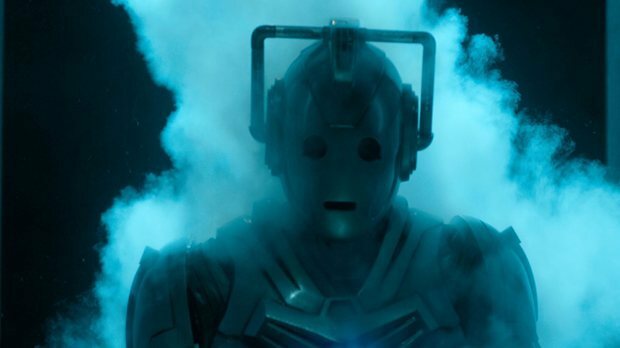 Still, for possibly the first time ever the Cybermen look like they could actually give the Borg a good showing should it come to a fight, and this in itself suggests that Nightmare in Silver achieved at least some of its ambitions. So, then, other than a potential continuity headache regarding the Silurians, what has The Crimson Horror brought into our lives? What have we learned? What feelings has it summoned forth? Well, firstly, a mild sense of surprise, although quite at whom it should be directed I’m not entirely certain. Ben Kingsley has taken a considerable amount of stick in the past over his supposed insistence upon being called, and credited as, Sir Ben (I don’t seem to recall this happening on Iron Man 3, for what it’s worth), and yet here we have the show’s major guest star listed as Dame Diana Rigg, and hardly anyone seems to have raised an eyebrow. I’m not sure I would have recognised her were it not for the attendant publicity, but then the image of Diana Rigg I store in my head is of her in about 1967, and the passage of time does make grotesques of us all. Not that she wasn’t predictably brilliant, of course. No, not doing a sarcastic caption. It’s Diana Rigg and she’s awesome. This was a good episode all round for the guest cast, though – when I was first watching it, I found myself thinking ‘is some sneaky double-banking going on here?’ because the actual regulars felt like they were in it rather less than usual. You notice this less than would be the case with most other episodes due to the raft of recurring characters brought in to cover the hole. Now, I’m not in the habit of frequenting Doctor Who message boards as I am generally wary of Doctor Who fans en masse (except when they’re queueing up to buy Outside In: 160 New Perspectives on 160 Classic Doctor Who Stories, available now from ATB Publishing, of course) but recently I was quite surprised to discover that in some ways my opinion is not that far removed from the superfan consensus. Now, I like the Paternoster Street Gang, broadly speaking. I’m a bit wary of the way they seem to have been designed to appeal to the in-jokey cutesy meme-loving element of fandom – and if this wasn’t intentional, they’ve certainly been adopted by said element – but on the whole I like the characters, especially Vastra. At the same time, though, I’m very sympathetic to the suggestion that the characterisation of Strax in particular is a bit problematic if you like the Sontarans as a proper antagonistic returning race: we’ve gone some way beyond the basic idea of an honour-bound warrior forced to go against his instincts and natural proclivities, and into the realms of comedy so broad it inevitably kicks you out of the story. I’m thinking particularly of the satnav joke, which was… well… jaw-droppingly stupid. And this was a shame, because I have to confess that overall I enjoyed The Crimson Horror much more than most of the other episodes in the last year, its only real rival being The Snowmen (another Paternoster Street Gang story, funnily enough). I’ve been trying to think why this should be – I don’t think it’s just down to my appreciation of the performances involved. In the case of The Crimson Horror I think it was just because this was a rattling good yarn where the basic plot came first, didn’t feel over-squashed by other considerations, and didn’t seem to exist mainly to articulate some sort of hackneyed and overwrought emotional story. Not that it was wholly bereft of this sort of thing: but the revelation of the truth of the relationship between Diana Rigg and Rachael Stirling didn’t swamp the story and didn’t feel particularly contrived or irrelevant. But now I think I’m starting to nitpick. It occurs to me I’ve slowly turned into one of those people who claims to be a Doctor Who fan but really does nothing but whinge and pick holes in the current version of the programme. This is quite a recent phenomenon – certainly, even during David Tennant’s final full season I remember walking away from each episode shaking my head in delighted amazement at the consistent inventiveness and surefootedness of the show in balancing its various constituents, and my memories of Matt Smith’s first year are overwhelmingly positive too. These days, though – I don’t know. Most of the time gimmicks and cleverness for its own sake seem to be the guiding principles involved in commissioning episodes, sentimentality feels crowbarred in, and the show’s beginning to feel relentlessly pleased with itself. 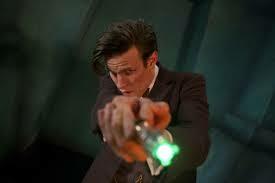 Even Matt Smith’s performance is starting to feel less nuanced than it used to. 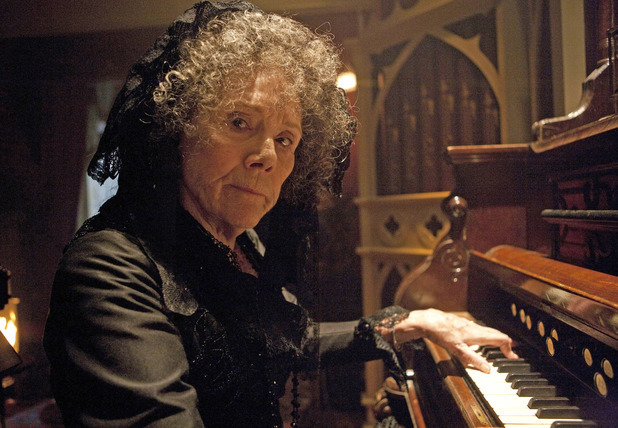 The Crimson Horror was not what I’d describe as a genuinely great Doctor Who story by any means. 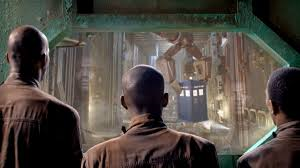 But there were still enough of what I’d describe as the classic Doctor Who virtues in it for it to qualify as a superior example of the modern show. I’m hoping for more of the same over the next fortnight; not, admittedly, with much expectation of them actually appearing. I think I am almost at the point of hunkering down and waiting for Moffat and Smith to finish their work and move on, although where the series will go then is surely anybody’s guess. I’m betting the answers will not be too long in coming, though. …and when they woke up it had all been a terrible dream! If history has proven anything to us, it is not that passive resistance will, ultimately, defeat any army, not that the history books themselves are written by the winners, nor that marching into Russia during a cold snap is probably inadvisable. If history has taught us one thing, it is that doing a story mostly set, and certainly climaxing, inside the TARDIS requires the services of one of Doctor Who’s premier league writers, if it isn’t going to be a waste of everyone’s time. 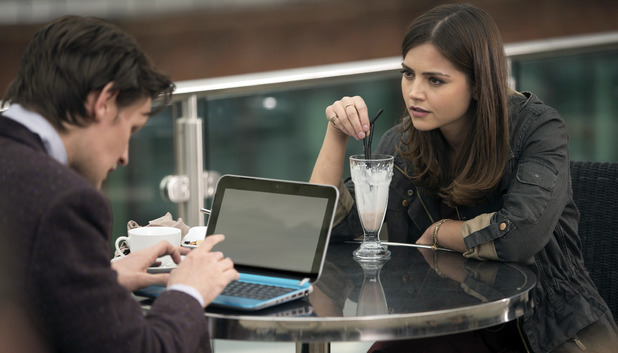 Get it right and you get The Doctor’s Wife or Amy’s Choice (hey, I like it). Get it wrong and you end up with The Invasion of Time or the McGann telemovie. (You know, I’m really not sure about The Edge of Destruction, given it’s so much the product of another era and sensibility… I’ll be nice, especially as it’s a David Whitaker script, and stick it in the former category.) So the question is, when a flight from Air Who takes off, will Steve Thompson be receiving waitress service up in First alongside Whitaker and Neil Gaiman, or lumped into Cattle Class eating plastic food with Matthew Jacobs? Well, my own feeling is that Thompson shouldn’t worry unduly about where to put his complimentary gifts, nor expect too much in the way of leg room on this trip. Which is not to say that Journey to the Centre of the TARDIS is challenging Rings of Akhaten for the title of dog of the year, just that it’s a story I found it very hard to actually get excited about. For a while it looked all set to be a complete clunker, with what appeared to be some frankly dodgy plot developments and contrivances: particularly the remote control suddenly appearing out of nowhere, and the Doctor’s uncharacteristic threat to blow himself up. I must confess to underestimating Thompson’s ability as a writer and the revelations that one of these was a bluff and the other an element of a more complex plot came as a total and rather welcome surprise. On the other hand, the subplot about the van Balen brothers throttled credulity beyond any hope of survival: here we are not just in the realms of Crayford’s Eyeball, but surely far beyond it. Someone who thinks he’s an android but is actually human? Does he not shave? Does he not have to sleep? Does he, and I know this is Doctor Who but even so, never feel the urge to visit the gentlemen’s facilities? Speaking of which, still no sign of the TARDIS loo. I must confess to being rather disappointed that even the depths of the TARDIS appear to have lost their roundels. Maybe I’m a tough audience, but I was hoping for a few more kisses to the past in the nether regions of the Ship. 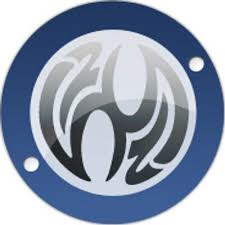 I suppose the appearance of the Eye of Harmony (in yet another new version) qualifies, and there was plenty of new material for people who are interested in the conceptual basis of TARDIS construction and engineering (I myself would never attempt such a thing. Not again, anyway). And – fairness demands – this story did actually manage to engage my emotions, which is a fairly rare occurrence as you may be able to tell. The prospect of something like the TARDIS being ripped apart in the name of the bottom line struck a chord with me and made me quite angry; perhaps there were too many resonances with what generally happens to wonderful things in the real world nowadays. However, any assessment of this story has to take into account the resolution of the plot, which is surely one of the most dubious in the series’ history, ranking right up there with – quelle surprise, I don’t think – the telemovie. Using time travel to press a button so the whole thing never happened in the first place? This is a story which never actually happened? There are an infinite number of those, why bother with this particular one? Possibly I’m being too hard on this aspect of the story, as many other reviewers are actually complimenting the story on the impudence of this element of it. But I don’t think so. The moment Doctor Who starts using time travel as a quick and painless method of short-circuiting crises like this, the whole basis of the series, both dramatically and logically, starts to erode. And despite everything I’ve written here recently, I still don’t want that to happen. In an ideal world I would prescribe a nice long holiday from writing Doctor Who for Steve Thompson: and I suggest he goes there by boat, just to be on the safe side. Hey, I’m big enough to admit when I get something wrong – my idea that this current run of Doctor Who was systematically revisiting the triumphs of the 2005 season was clearly totally erroneous. No, in the wake of this week’s episode (close-to-the-present-day confined-space setting, and old enemy which a) reveals a new side to itself b) appears chained up at one point and c) believes itself to be the last of its kind) one can only conclude that the series is actually selectively revisiting the triumphs of the 2005 season: Cold War and Ice Warrior aren’t that far apart as titles go, and it would’ve made the parallels between this episode and Dalek even more explicit. Having said that, I’ve no real desire to overstress the point, as Dalek remains one of the best episodes of 21st century Who and Cold War… isn’t. It’s not awful, and it’s a lot better than The Rings of Akhaten (but then it would take shocking mismanagement and a truly heroic effort to produce anything substantively worse), but it just felt, at best, terribly safe – almost like snap-together modern Doctor Who, well-machined bits assembled into a sturdy whole, but without much in the way of imagination or wit. Think of some of the other stories using this kind of structure outside Doctor Who – the monster-in-the-ice story surely started with Lovecraft’s At the Mountains of Madness, as I’ve argued elsewhere – compared to most of them, this was just a bit plodding. Perhaps this is being a bit too kind to the script, which really felt scrunched up to fit the 40-minute time slot, and as a result came fully stocked with some excruciating plot contrivances – the junior crewman deciding, apparently of his own initiative, to take a welding torch to the block of ice, the crew not seemingly feeling much surprise at people appearing out of thin air on their sub, the whole business with the TARDIS vanishing (invoking the Great God of Continuity References doesn’t cover this, especially when the reference in question is to – for crying out loud – The Krotons), and so on. And how exactly did the Ice Warrior end up frozen at the pole? I admit I’ve only watched this episode twice so far, so I may have missed it, but I think that sort of fairly essential background information should be a bit more prominent. 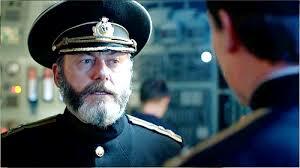 Another victim of the running time was Liam Cunningham’s character. Modern Doctor Who being what it is, it’s rare to get more than two even partially-developed characters, and one of those is usually the villain. Cunningham certainly seemed to lose out to David Warner in the development stakes – I suppose the professor’s presence was essential to the plot, but he didn’t add much to it. A shame, as Cunningham’s a solid performer (he was even okay in Outcasts). The Ice Warriors came out of their revamp better than the Silurians did theirs, at least – and I suppose you have to admire the efforts Mark Gatiss went to in order to square the circle in terms of reconciling the two takes on the monsters we’ve seen in the past – the classic monster version, from – let’s be honest – the vast majority of their screen appearances, and the ‘noble alien race’ interpretation from The Curse of Peladon and many, many apocryphal stories. Bravo to the designers, who clearly realised that the classic armour design was clearly not broken and resisted the urge to ‘fix’ it too much. (Although I have to say I fear for the future of Grand Marshal Skaldak – was that really a Martian ship rescuing him at the end of the episode? Given that the Ice Warriors attacked Earth at some point in the 21st century, I suppose it shouldn’t come as a surprise if there are Martians operating in the Solar System in the 1980s (the events of this story may explain how UNIT know what a Martian looks like in The Christmas Invasion), but they seemed to be absent from Mars itself when the UK sent numerous missions there only a few years earlier (The Ambassadors of Death). They seem to have gone by the time of The Waters of Mars, too, and the Doctor certainly talks about their civilisation as if it’s long-defunct at that point. This story got quite a bit of advance publicity, mainly on the strength of the iconic returning monster, but in the end I’m not sure that was entirely warranted: there were a lot of little niggles and issues with this episode, but no terminal problems – however, there was nothing really memorable or outstanding going on either. This was really Doctor Who by the numbers, and that’s never going to produce anything more than, at best, basic competency. I’m as big a fan of post-modernist self-referentiality as the next person, but packing the Doctor off to a place where the basis of everything – the common currency – is carefully-articulated sentimentality is surely tempting suggestions that Doctor Who is actually visiting itself. That’s overly harsh on the modern show, I suppose, but not by much. Even so, when even the Radio Times – whose default setting these days, when it comes to Who, is a sort of brainless enthusiasm I find rather disagreeable – starts poking holes in an episode, you know you’re in for something distinctly sub-par, and so it proves with The Rings of Akhaten. Cos this is tosh. I commented last week on how The Bells of St John was oddly reminiscent of Rose is many ways, and now it’s been followed by an episode where the Doctor takes his new companion off to a distant inter-species gathering to witness an epochal event, which concludes with everyone being menaced by a swelling celestial body and the Doctor getting a load off his chest. Oh well, if this series of resonances with the 2005 series continues, at least it bodes well for Cold War – Mark Gatiss’ script for Eccleston is surely his best contribution to the TV series to date. And this is surely what The Rings of Akhaten actually is: the visuals are garish and striking and very much unlike anything else on British TV at the moment, but I got no sense of an internal logic to the story, of a real (if alien) world underpinning and informing the spectacle – in that respect this is a story which seems entirely unaware of all the scripting innovations and narrative strengths brought to the series by Terrance Dicks and Robert Holmes when they were custodians of its storylines. Things just seemed to happen to suit the story, and not for any other reason. The wider details of the plot seemed equally thrown together – given everyone was standing on a tiny asteroid, what were they all breathing? Where did the gravity come from? Why was the translation function of the TARDIS suddenly not working? What was the backstory of the singing monks, and the sleeping grandfather, and the angry space blob? It wasn’t as if this episode was so crammed with incident and plot that they couldn’t squeeze any of this stuff in – this felt like one of the slowest and most linear episodes in recent memory. Everything about it felt laboured and half-baked. Of course, this is still Doctor Who, so I can obviously find good things to say about it, just far fewer than usual, and many far fewer than I’d like. Obviously, this is the anniversary year, and it’d be great for the series to pay homage to its own history and legacy – but this episode seemed to be reviving many of the flaws and problems with stories of the Sixties, rather than celebrating their positives, and slathering them with the usual slightly gloopy character-driven stuff did not improve them much. As disappointing, in its own way, as Nonsense of the Daleks, and a bit of a retrograde step following the two good Intelligence stories. Yes, I know this is just supposed to be me banging on about The Bells of St John, but there are important matters of housekeeping and context to be sorted out before we can get to that. First off, what season, exactly, are we up to now? Is this, as was originally advertised, the second half of season 33 (or series seven, if you’re that way inclined), or season 34 in its own right? It seems to be being presented as the latter – understandably, given the thorough sprucing-up the show’s undergone since the Ponds departed – but it’s hard to shake the idea that this is partly being done in an attempt to cover up the fact that we are not, in truth, being given anything like a full new series of Doctor Who, in this, the golden anniversary year. What we are getting is a couple of specials and the remaining half of last year’s series. Secondly, I have been watching a lot of early Tom Baker recently – in the last week, in particular, I’ve enjoyed The Masque of Mandragora, The Face of Evil, and The Robots of Death, and I’m in the middle of The Talons of Weng-Chiang at the moment. Obviously the only sane comment to make at this juncture is damn, but season 14 is good. I mean, really, seriously good. The weakest story of the lot (to my mind The Hand of Fear; others may disagree) still hasn’t got very much wrong with it at all. Why do I bother to state this rather self-evident fact about some pieces of Doctor Who which are 36 years older than the episode we’re supposedly here to talk about? Well, it’s not that I’m automatically going to find The Bells of St John wanting in comparison, not exactly, it’s that… I don’t know, maybe it’s me. Whichever way you cut it, we are eight whole years into the revived version of Doctor Who, so you could probably argue that if I’m still not used to the narrative style of the modern show then that’s nobody’s fault but mine – because I think that if I have a real problem with The Bells of St John, then that’s at the root of it. After watching so many classic adventures which introduce a mystery or situation, involve the regular characters, further complicate the plot a few times, and then resolve the problem, it’s still quite wrenching to see a story in which most of the middle section of that process is omitted. I’ll be honest with you, there was a moment while watching this episode when – having thoroughly enjoyed it so far – I sat back and thought ‘Moffat has set all of this up really well, I hope the meat of the story lives up to the promise of the introduction’, at which point I looked at the clock and realised there were only about ten minutes left before it all wrapped up. In other words, this story felt cramped and maybe even a bit rushed by the demands 45 minute timeslot. I know the situation was only exacerbated by the need to introduce – again – JLC’s character, but even so. Actually, the sheer impudence of Moffat’s writing in this area was one of the things I really liked about the story – he doesn’t muck about, but hooks the two of them up almost as soon as the credits have finished rolling, through the most outrageous plot device (and one which you just know is going to get paid off some way down the line. Place your bets now as to who the mysterious and helpful woman given to handing out the Doctor’s phone number is – given recent announcements I suspect it could prove to be the Blessed Saint Tyler, but if it actually turns out to be Anneke Wills then no-one will be happier than me). The writing and direction was, as ever, effervescent, even if one can’t help but suspect a story about wi-fi will look quaint to future viewers in exactly the same way The War Machines’ take on the internet does to us now. I managed to guess the identity of the villain, by the way: this is the first time in 21st century Who they’ve had the same bad guy two stories in a row, isn’t it? Please correct me if I’m wrong. I suppose it’s no real wonder that this modern, London-set, new-girl-introduction romp reminded me quite so much of previous modern, London-set, new-girl-introduction romps like Rose and Partners in Crime. Is it quite up to the standard of either of those? It’s more relaxed than the 2005 opener and less overtly comedic than the 2008 episode, but possibly more smartly written than either of them. Despite my misgivings that this was really just the beginning and end of a potentially good story with the middle sucked out, I enjoyed it very much, and I’m keen to see where these particular storylines lead us next.